After the morning tea & breakfast the day starts - as always - with the children of the private school next door singing the Eritrean anthem at 7h45. Like every day the early morning is for networking / visiting tourism service providers. I walk from the center to Godaif. The road has been opened for a new sewage pipeline. Back in the center I visit Kibreab at the Housing and Commerce Bank. 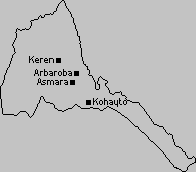 From here I have internet access to check the Eritrea Profile. The internet is slow. Guess it is one of Eritrea's challenges for the near future to connect to the digital highway with fast connections. Internet is business. And no connections is no business. In the afternoon I meet Mr. Tekeste (Asmara Grande) and Natsuno (Young Pioneer Tours) in a cafe next to the Asmara Grande office. 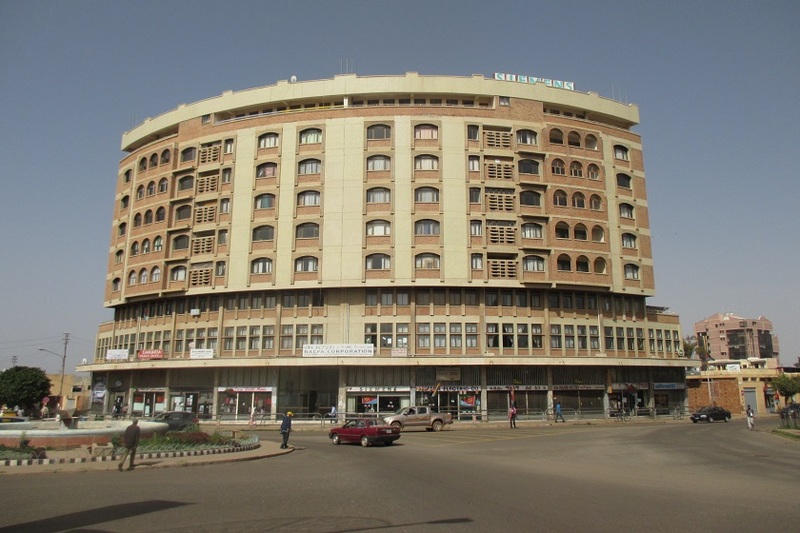 We chat about the various types of tourist and the types that fit more or less for the destination Eritrea. It is the humble type that will feel happy, while the arrogant type of tourists will be a mismatch with the Eritrean culture and life style. Visa requests were no problem for the Young Pioneer group, but the time it takes to get a visa varied from one to more than eight weeks. The time span may vary with your nationality, your occupation, and your arguments to apply for a visa. I still have to do some shopping for my wife. I have no idea what the beauty shop product will cost. I start in the shop where I bought them last year. I ask for the price. 28 NFA for one unit and 336 NFA for the whole (12 pieces) box. They have to come from another shop because the girls do not have them in stock. I wonder how this fact will affect the price of the product. One hour later I will know. I buy a dozen. The hair vitamins are carefully packed in a a few pages of Haddas Ertra, the Tigrinya newspaper. I continue my walk to Abbashaul and start a search for the same product. As per my wife's instructions it is best to buy in this poor district, as prices are better. I find the same product at Nardos Cosmetics Shop in Abbashaul. I ask the price showing the empty package I brought as an example. "30 NFA for one, 360 NFA for the dozen". I tell the shop keeper / owner I just bought the same product for 28/336 NFA. I will get the dozen for 336 NFA. Back on the streets of Abbashaul, I receive a firm handshake of Tekle. It takes a few seconds before I remember. 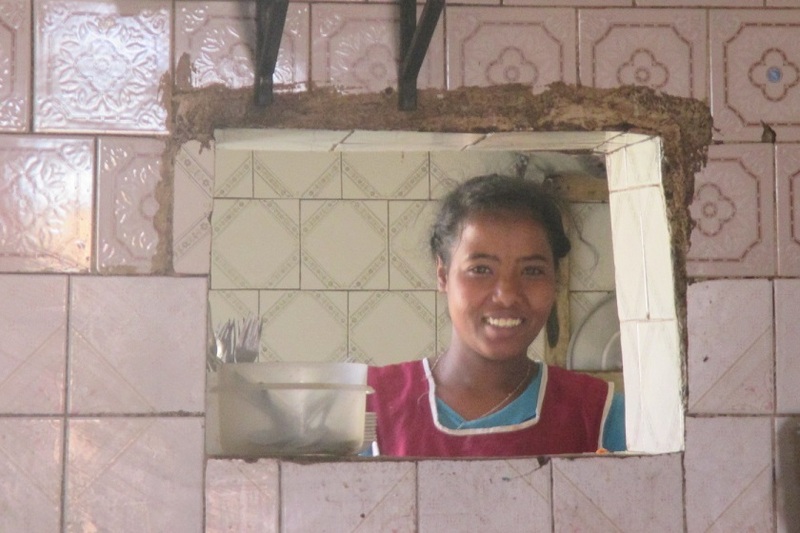 Tekle is the happy owner of Restaurant Omer Nasser in Edaga Hamus. He is proud to guide me to his restaurant. 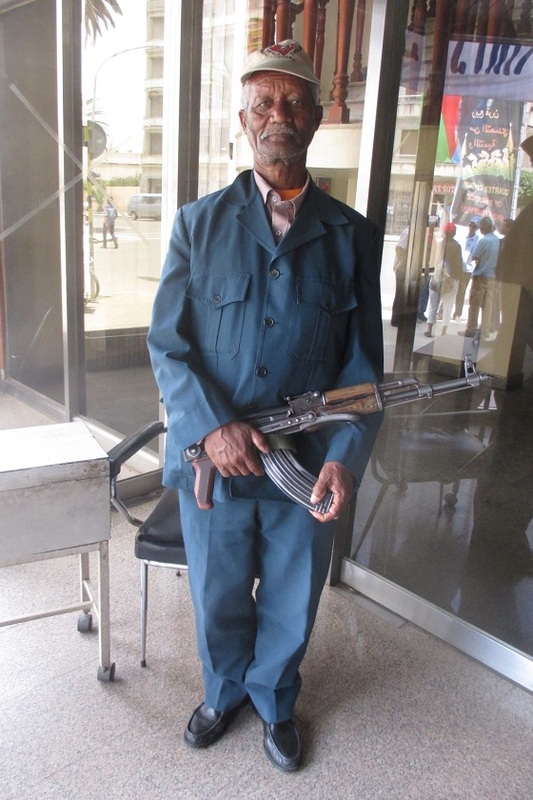 I ask him if he can serve ful (as I still cannot read the Tigrinya menu card) "Ful Zubuk!" is his instruction to the kitchen, which means "good full", or make it special for the tourist. The two words again are a warm welcome of a man proud to have you in his restaurant. I do my best to eat the ful without a spoon, I am too proud to ask for a spoon, I will use the two breads, in pieces, to eat the ful. I am successful to finish the ful before I finish the bread / my Eri spoons. No need to ask for a spoon ('manka' in Tigrinya). Tekle asks me what I want to drink. "Milk, tea, a coke?" I chose the Coca Cola. But a then I remember one of my previous visits, when no coke was available. "I kept one for you!" Tekle replies with a happy face. 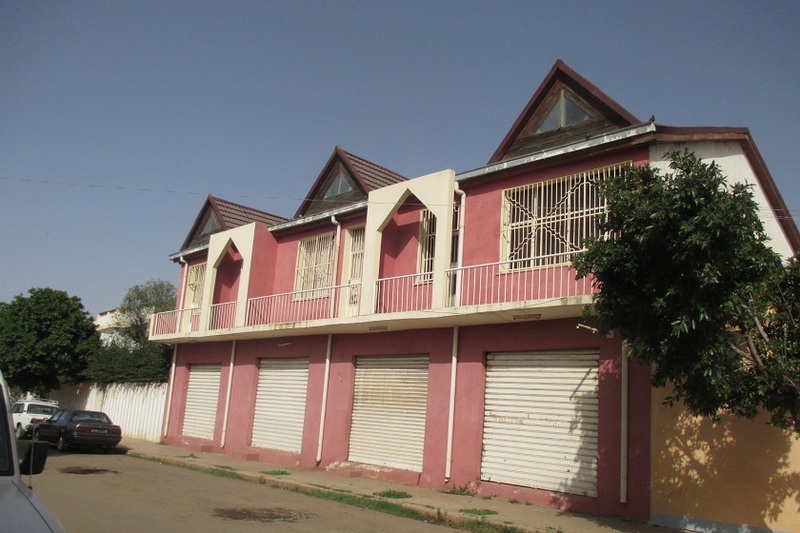 Nakfa House - Sematat Avenue Asmara Eritrea. Houses and shops - DGSA Street 189 Tiravolo Asmara Eritrea. 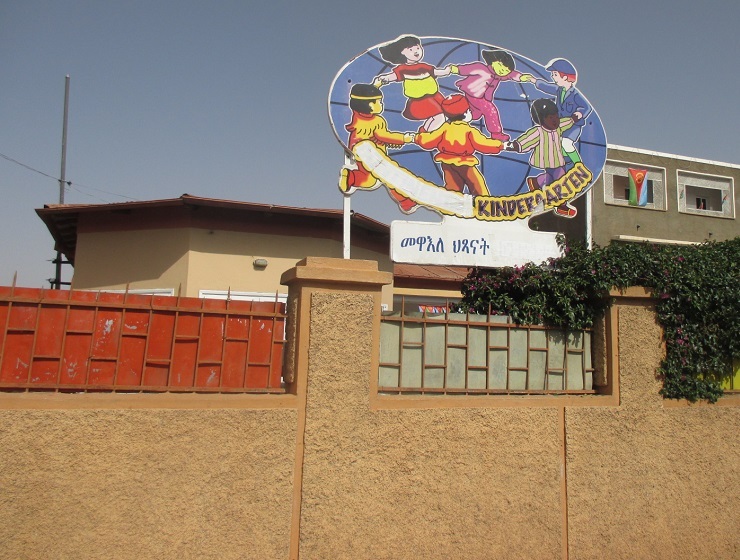 Kindergarten - Godaif Asmara Eritrea. 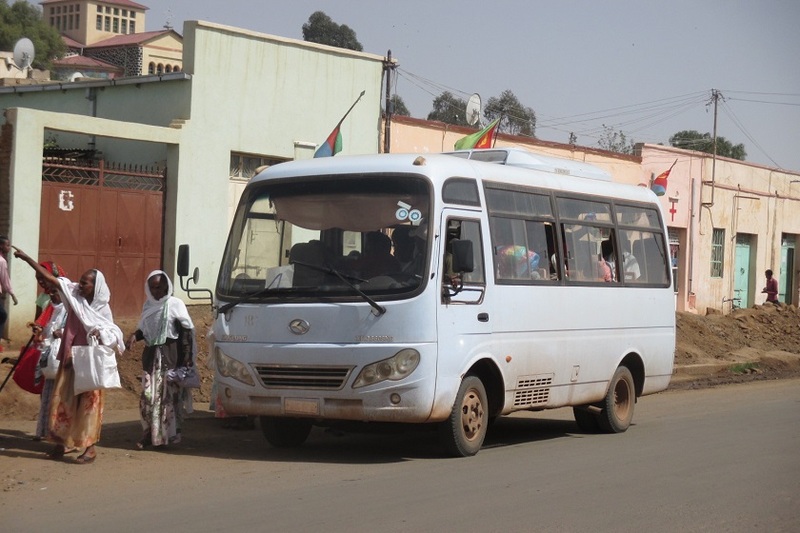 PTZM midi bus - Godaif Asmara Eritrea. 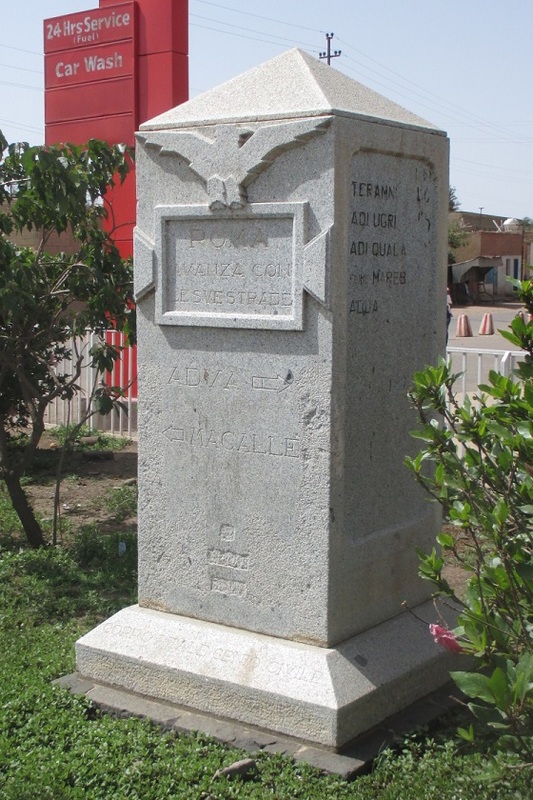 Sign post Bloko Godaif - Godaif Asmara Eritrea. 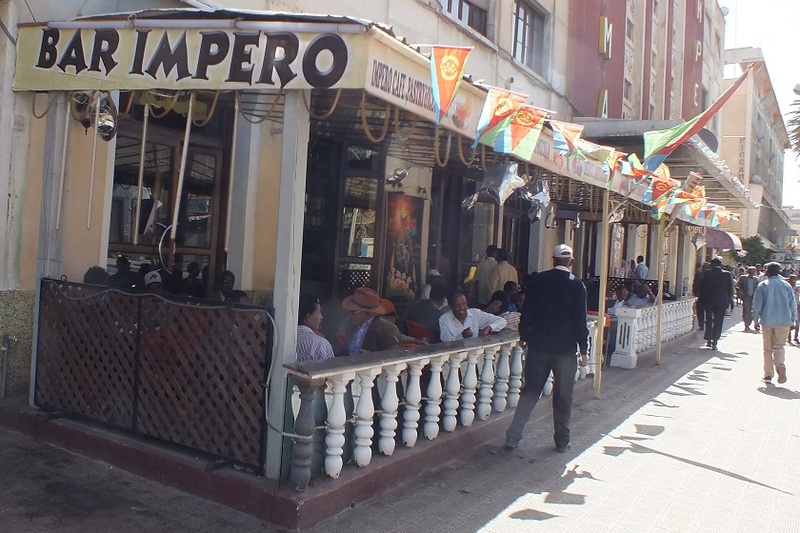 Bar Impero - Harnet Avenue Asmara Eritrea. 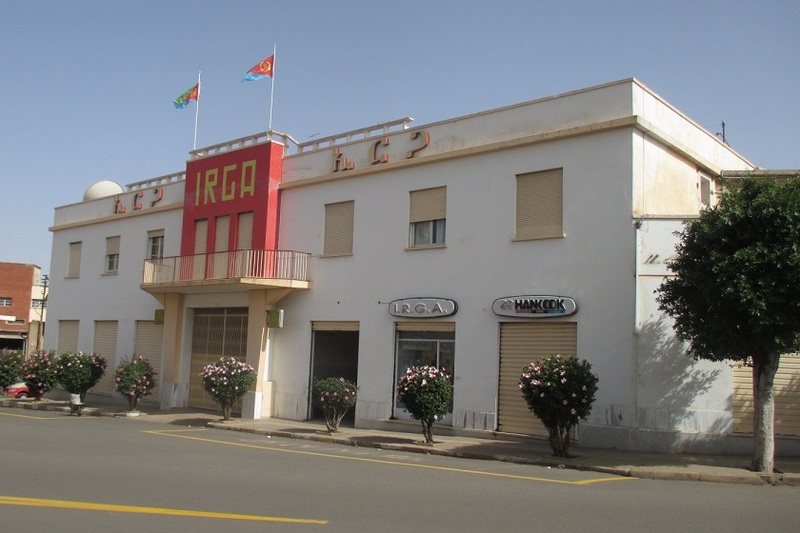 Guard Housing & Commerce Bank - Asmara Eritrea. 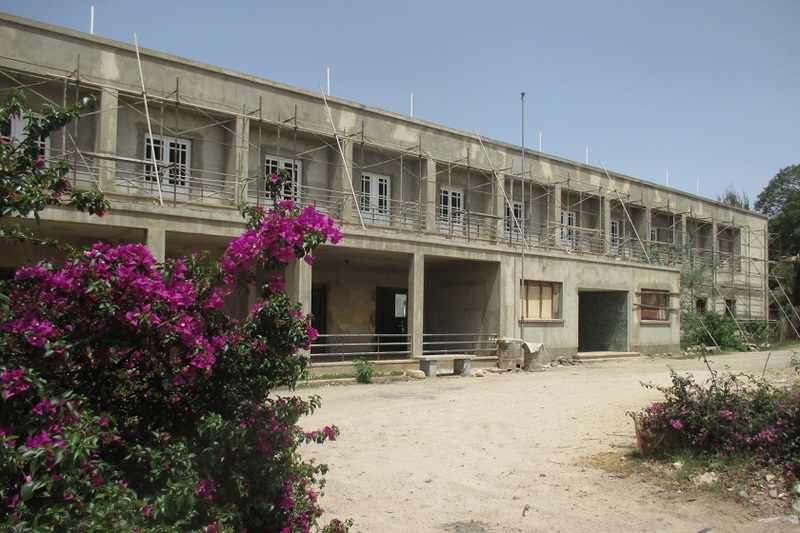 Selam Hotel under renovation - GMBI Street Asmara Eritrea. 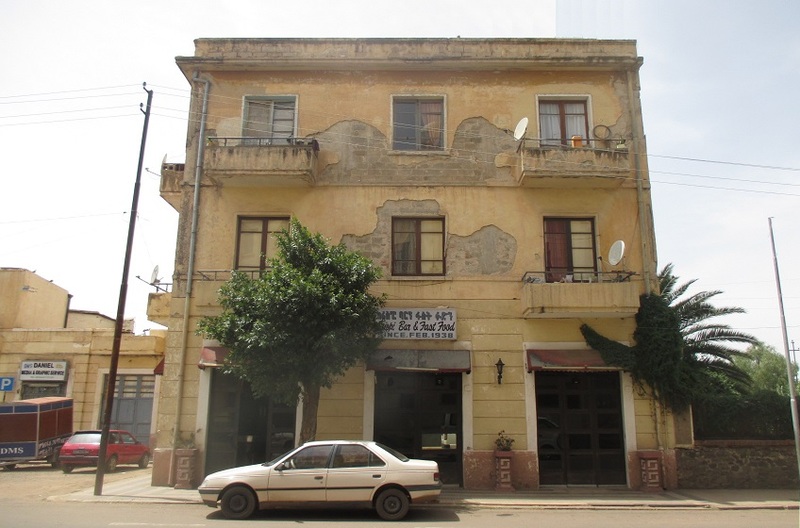 Crispi Bar & Fast Food - Denden Street Asmara Eritrea. 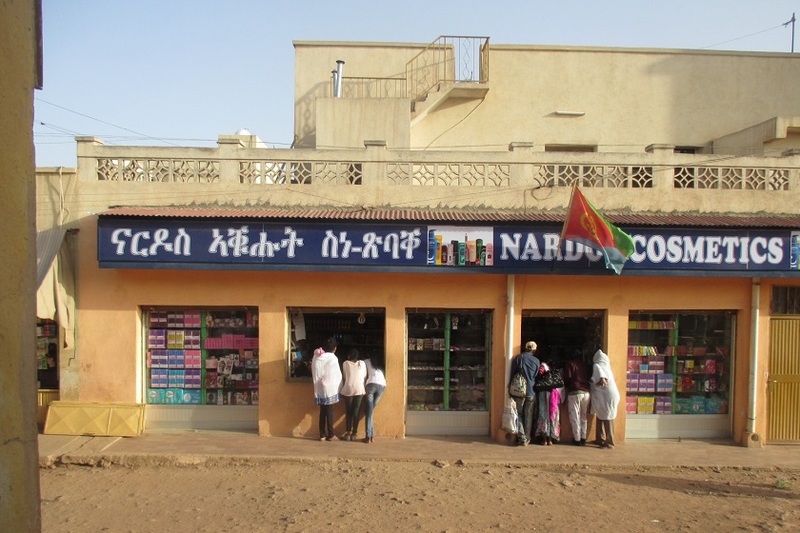 Nardos Cosmetics - 119-6 Street Abbashaul Asmara Eritrea. View on the kitchen - Restaurant Nasser Omer - Edaga Hamus Asmara. 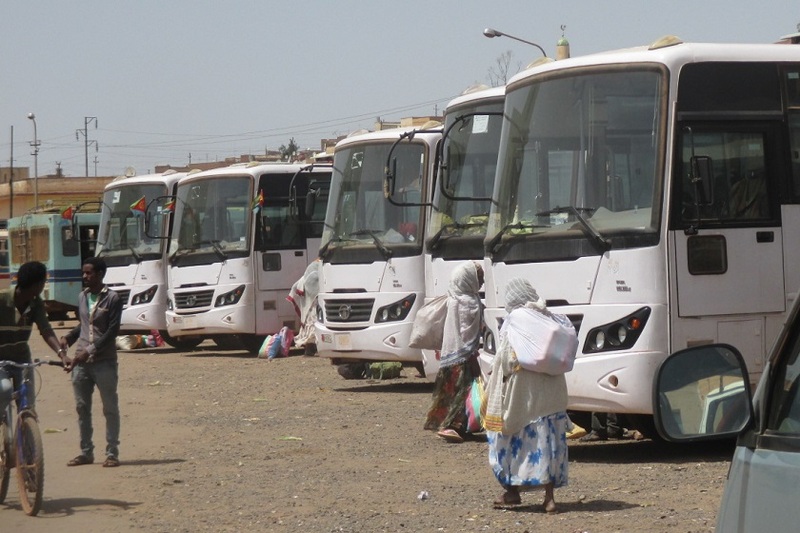 Harat regional buses - Edaga Hamus bus terminal Asmara Eritrea. 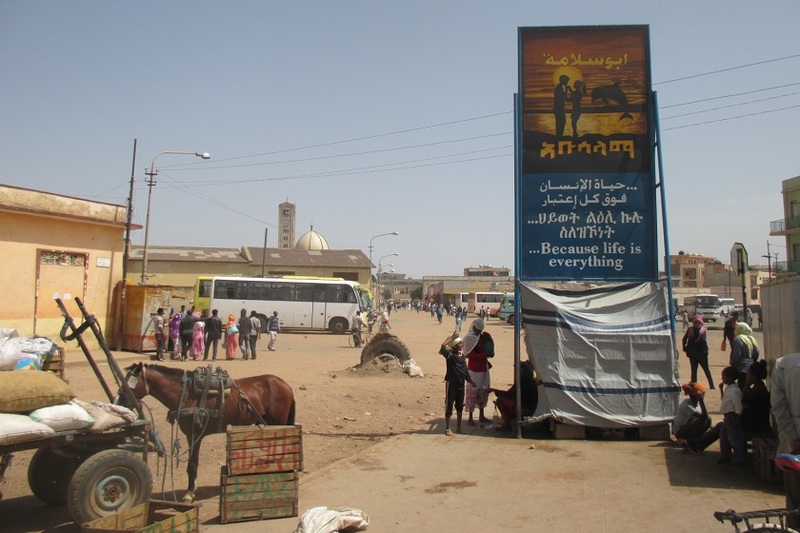 Because life is everything - Edaga Hamus bus terminal Asmara Eritrea.